Between the Devil and the Deep Blue Sea is a modern day Gatsby-esque drama including vintage mansions, wealthy families with the drama and infidelity all mixed together. Between the Devil and the Deep Blue Sea is narrated through Violet's perspective, a 17 year-old book-loving, intelligent teenage girl who's quirky and vintage style all stems from her grandmother Freddie. After Freddie's death a couple of years ago, Violet now likes to remember her grandmother by wearing her vintage clothes and imagining she's speaking to her in her head. But since Freddie's death, Violet's family has let their historic mansion turn to ruins and when Violet's parents run off to Europe to divulge themselves in art, Violet and her brother Luke are left to think of ways to earn money. Since they've never worked a day in their lives and their family is major part of small town, Echo's, heritage they post a flyer advising their guesthouse for rent. Cue River, the mysterious handsome 17 year-old stranger, who rides into town and rents Violet's guesthouse. But River is not to be trusted and as Violet starts to become interested in him, she learns that River is a compulsive liar and he's hiding a dark and horrific secret. 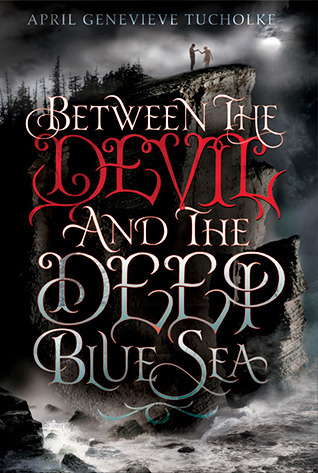 Between the Devil and the Deep Blue Sea was an addictive read to begin with, I loved the Gatsby-esque similarities and location, and the beginnings of Violet's and River's relationship was intoxicating. Unfortunately though, as the story progressed and River's secrets began unravelling, the story started to become very predictable and began to feel a little rushed. Overall, a gorgeously descriptive and imaginative story but I would have preferred the action and horror aspects of the story to be a little more rounded and un-rushed. If you're looking for a story with a vintage flair and will-they-won't-they romanic storyline then this is definitely a book to check out! 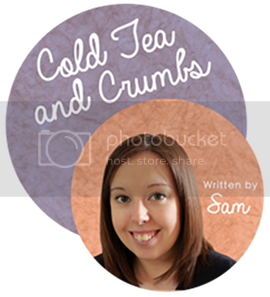 Thanks for the great review, Sam! I'm sorry you didn't like this book more, but hearing you say, well, in actual fact, reading you say "Gatsby-esque Horror Romance", makes me think I'll definitely have to check this out for myself.